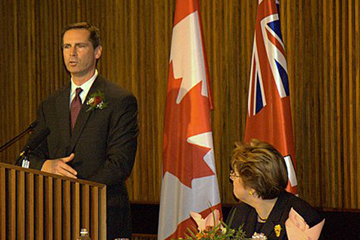 From 2006 to 2010, Eid dinners were also held at the Toronto City Hall. 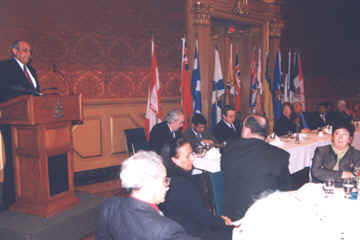 The 1st Eid celebration was held at Parliament Hill in May 1996 and the 1st Eid celebrations at Queen's Park was organized in 1999. Events organized by the Association are non-partisan and are well attended by elected representatives from the Federal, Provincial and Municipal governments. Representatives from the Diplomatic Corps, Government and Non-Government organizations, Regional Police Services, CEOs of Corporations, businesses, and Community organizations attend. There is a feeling of friendship and camaraderie and everyone has a good time. The Association gives awards at the Eid and Canada Day celebrations to individuals and organizations for their outstanding contributions to Canada especially in the areas of justice, peace, equality, and fairness. 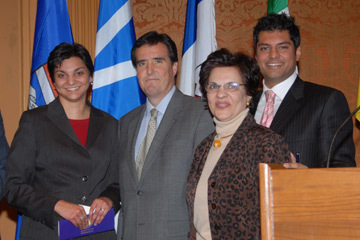 Leaders of the Official Opposition and other political parties. Mayors and other Municipal representatives. Ambassadors and High Commissioners and other diplomats. Chiefs of various Regional Police Services and RCMP officers. 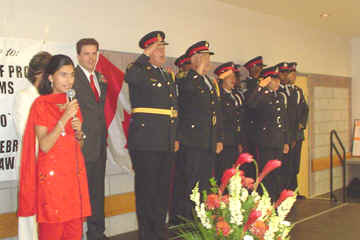 Canada Day Celebrations and Muslim Heritage Awards Night is the 3rd annual event. Individuals and organizations are recognized for their achievements and their contributions to making Canada a better place for all. Many elected representatives and dignitaries attend. The 4th annual event is the Taste of Asia Festival in partnership with the Federation of Chinese Canadians of Markham. 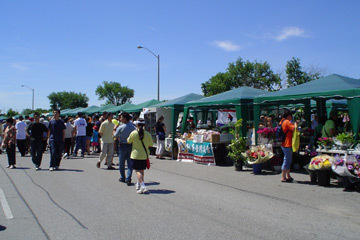 It is a street festival held in June on the last weekend before Canada Day. A section of Kennedy Road between Steeles and Dennison is the location for this event. There are cultural songs and dance performances by many ethnic groups on an outdoor stage and another indoor stage in Market Village close to the Pacific Mall. Please click here for more information. The 5th annual event is Iftar Dinner at the Ottawa City Hall which was started in 2012. Mayor Jim Watson is the Guest of Honour. RBC has been a big supporter from the start. Please click here for stories and photos. 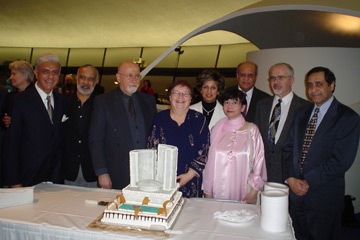 The celebration of Eid at the Toronto City Hall was the 5th event from 2006 till 2010. Mayor David Miller was the Chief Guest and Councillor Susan Hall was the Emcee each time. Dr. Dilkhush Panjwani provided specially prepared cakes on these occasions. Click here for details. The Association is grateful to its sponsors for making it possible to hold these events and invite many guests. 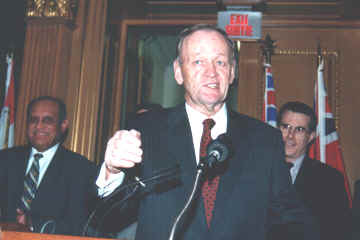 The late Mr. Kevin Hansen, Manager Sales and Marketing, Saudi Arabian Airlines, was generously donating two business class airline tickets as the door prize, both at Parliament Hill and at Queen's Park for several years. He is 2nd from left in this picture.